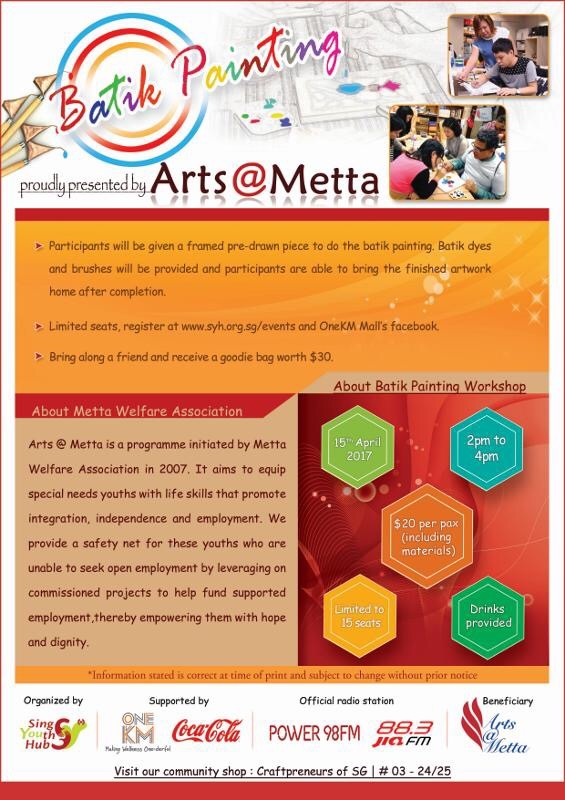 Learn a new skills with the beneficiaries of Metta. Participants will be given a framed pre-drawn piece to do the batik painting. Batik dyes and brushes will be provided and participants are able to bring the finished artwork home after completion. Free goodie bag items worth $30 if you bring along a friend.